College careers project shortlisted for national award. Bridgend College are thrilled to announce that their ‘Cyfleoedd’ team has been shortlisted for the National Association for Managers of Student Services (NAMSS) Awards 2019. A new category this year, the ‘Student Services Inspirational Project of the Year’, recognises a piece of work or completed project that truly inspired colleagues, learners and the local community. 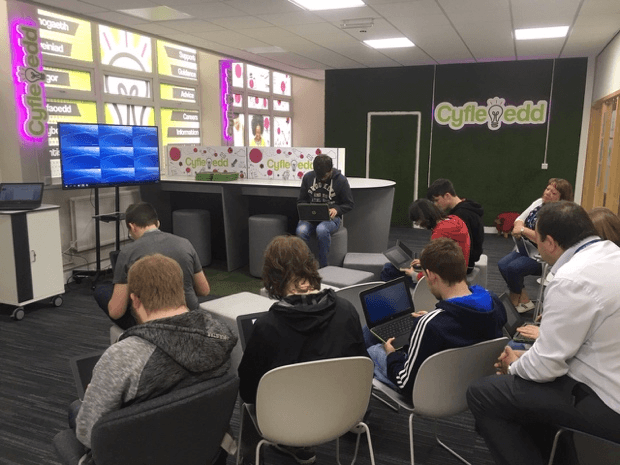 ‘Cyfleoedd’, meaning opportunities in Welsh, provides a collaborative workspace to enable students and employers to connect. 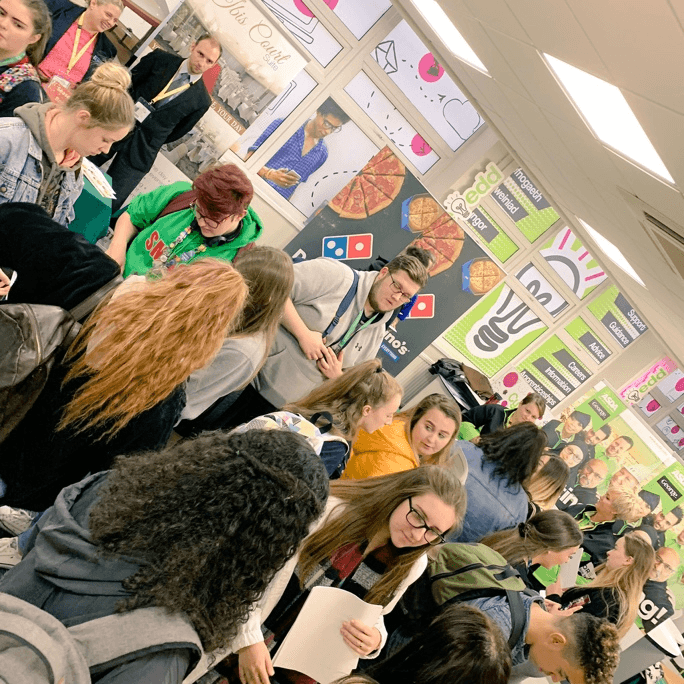 The initiative was launched with the aim of creating a non-stop-shop for all things careers, information and guidance, but also a vibrant space where students, staff and employers could connect and collaborate. ‘Cyfleoedd’ builds upon the College’s wider mission statement, enabling students to ‘be all that they can be’ by preparing and supporting them to achieve, progress and gain meaningful paid career opportunities. The College looked at a creative process to help sustain the careers education model which begins at point of enquiry prior to application, right through to destination beyond College. The use of Digital Profile has enabled students to identify wider soft skills developments, known as the College’s ‘8 Core Skills’. Digital Profile provides students with an online platform to build their CV and search for exclusive opportunities with larger employers. Since the inception of the project, the College have engaged with more that 2000 individual students and have worked with over 60 local businesses to date (since May 2018). Students at the College are now able to access work-related opportunities including volunteering, seasonal and weekend working as well as the longer-term development of talent pipelines to businesses and a traded recruitment agency. There are a range of ways that businesses and employers can work with ‘Cyfleoedd’ at the College, including; advertising latest job vacancies, internship and work placement opportunities, hosting a business event or sourcing an apprentice from the College. The College ensures that activities and opportunities within the hub are led by the needs of local and national employers so that students develop their core skills and a competitive advantage within the open labour market. Winners of the NAMSS Awards 2019 will be announced at the Annual Conference Gala Dinner on Monday 11th March at the Hilton Hotel, Liverpool.